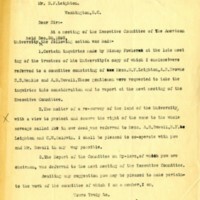 An assortment of documents dating from the 1890s to 1920 relating to the development of American University. 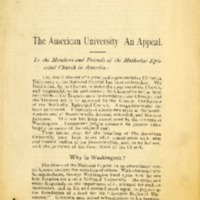 In the appeal for $100,000 for purchase of site, John F. Hurst explains that the nation is "in the throes of a new educational era." He urges bequests to "better meet this latest need of American educational life." In an undated "Dear Friend" letter, the Secretary of State of Maryland seeks to raise $100,000 for the College of Law building and another $100,000 for the endowment. He calls the building of a law school "a necessity." 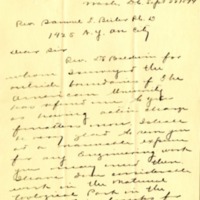 Typed letter from B. F. Leighton to Rev. C. W. Baldwin 1894 January 6, concerning whether to resurvey the university site. 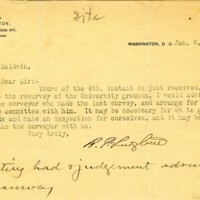 A hand-written notation says, "Meeting had and judgment adverse to a resurvey." 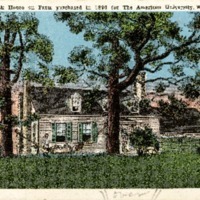 Postcard with caption "Addison-Murdock House on Farm purchased in 1890 for The American University"
Postcard, undated, features an illustration of the Addison-Murdock House. 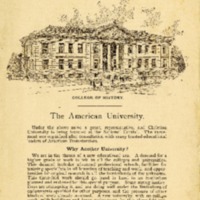 The house was part of a farm purchased in 1890 for the American University. 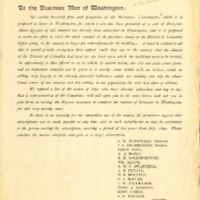 Letter from D. J. Howell to Rev. 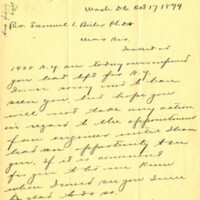 Samuel L. Beiler, 1894 October 17, requesting that he not do anything "in regard to the appointment of an engineer" until they meet. 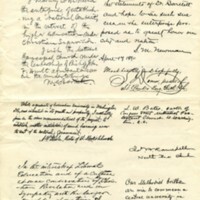 Letter from D. J. Howell to Rev. 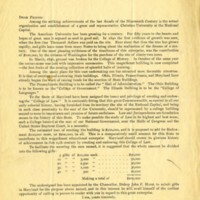 Samuel L. Beiler 1894 September 22 concerning the engineering work he did in surveying the outside boundaries of American University.